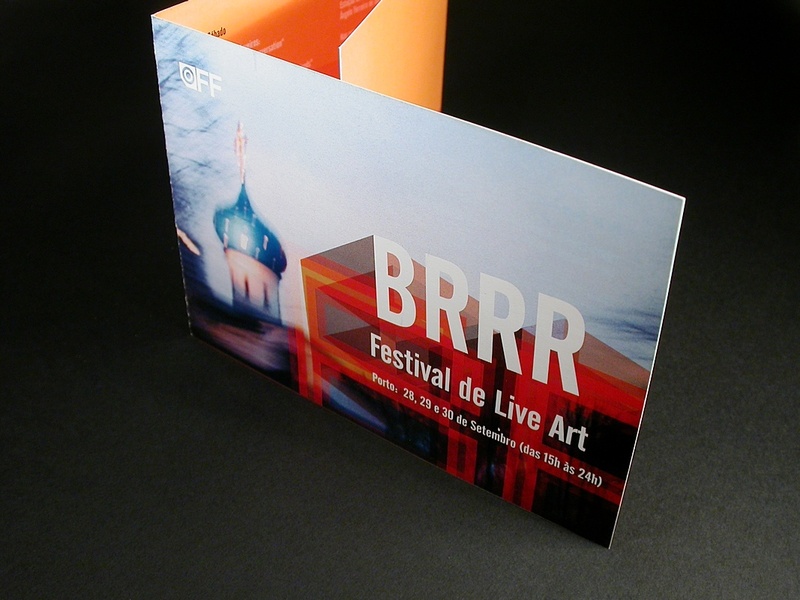 Graphic design for a live art festival in Porto, Portugal. 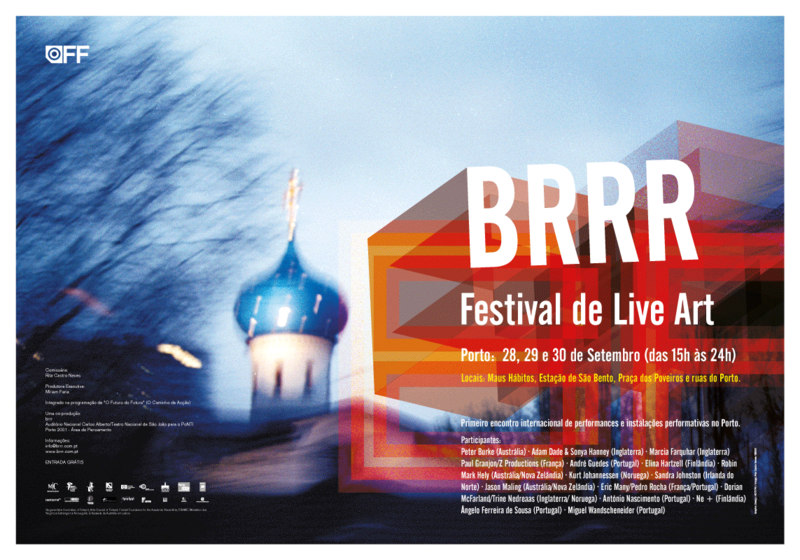 Brrr, was a 3 day international live art festival in Porto that got together 27 artists from 10 different countries and was organized by Rita Castro Neves. I designed a poster and a event program for the event. Featuring more than 15 original performances and several performative installations, brrr intended to create a show space for performances and discussion of issues raised by them, in order to lay the foundations for the dynamization of this creative area in our country. 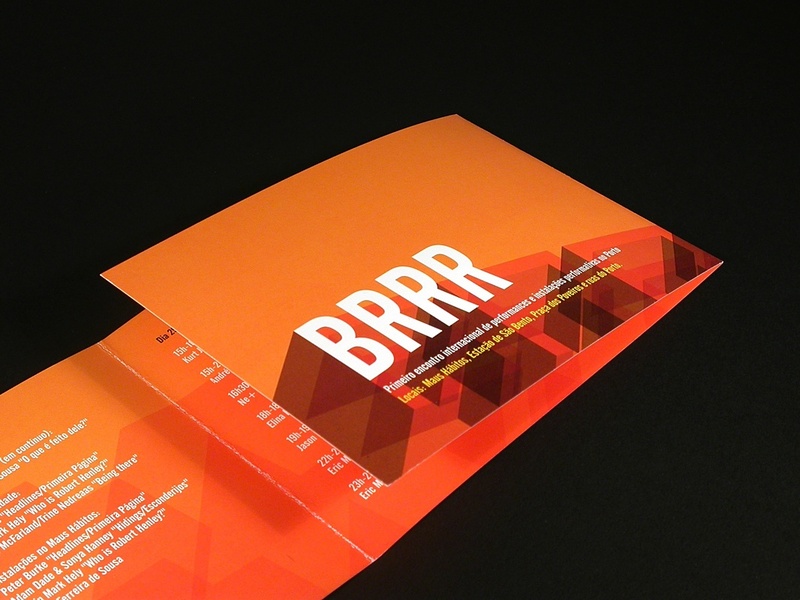 brrr was, above all, a forum for discussion and presentation of works that create a comfortable work environment and relaxation. In which artists, theorists and members of the public feel involved in the same process of facing and moving with complex and multiple realities, still, and also that divergent. Due to their strong experimental, frontier and risk-taking aspects, Live Art meetings tend to be a source of inspiration not only for the general public but also for creators from other areas, especially dance, theater and the plastic arts.